If you have ever experienced lighting a match in a wind storm then you know the level of frustration a cigar smoker can experience while trying to light up. I finally got tired of huddling behind a car or shelter to try to fire up a cigar and turned to a modern butane lighter. The reason I had waited so long is because years ago I bought a high-priced butane lighter and it only worked for a little while. On top of this, I couldn’t figure out how to get it repaired. So, figuring technology had improved in lighters I went into my local brick and mortar cigar shop, Cigar Town, in Reston, VA and asked for a good but not overly fancy lighter. The lighter I ended up with is a Prometheus lighter. It is a single flame, not triple, and it has a very slim profile so it can stay in your front pocket and be there when you need it. I have had this lighter for a few months now and it has worked very well. I use it everyday and usually refill it once a week. I paid around $40 for it and consider it a good investment in my cigar enjoying experience. As a benefit of butane gas, there is no odor transfer of the gas to the cigar like there is with a traditional match or Zippo lighter. 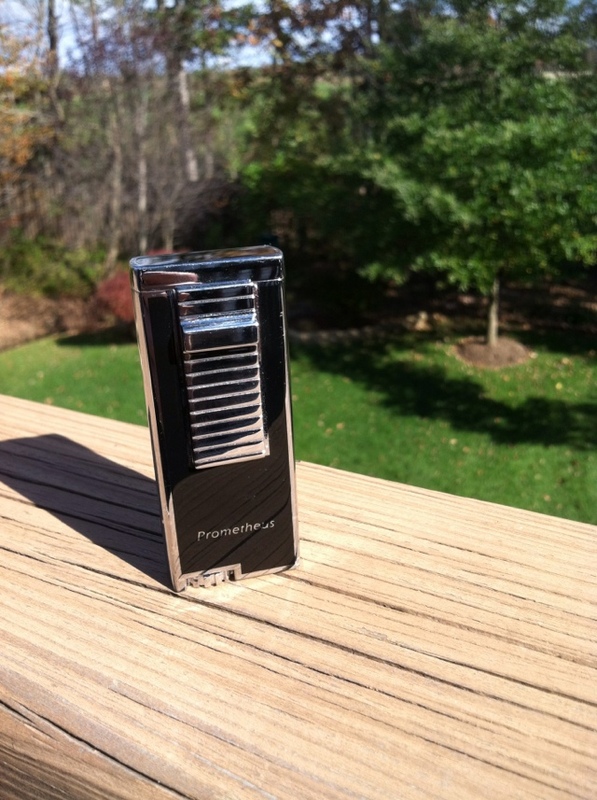 So if you are tired of lighting up in the wind, I would encourage you to pick up one of these lighters, there are a few brands out there now and I have no reservations in promoting Prometheus because its working for me. This also would make a perfect gift for a cigar smoker! You’ve got great insights about cigar, keep up the good work!